Anguilla is an island in the eastern Carribean. Read an interview with the author about this story. 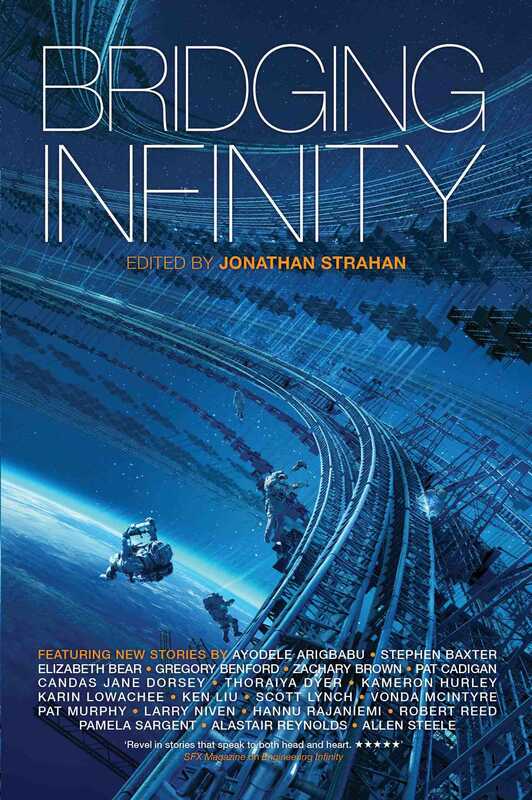 "Induction," by Thoraiya Dyer [bio] (edited by Jonathan Strahan), appeared in Bridging Infinity (RSR review), published on October 20, 2016 by Solaris. Pro: Christian had little goal but to say goodbye to his grandmother, and he does manage that much. Con: Christian is a poor protagonist. He's not trying to accomplish much; his "victory" at the end is the result of other people being nice to him (and spiting his brother). The idea of bringing up magma to try to increase the area of islands seems silly; with that kind of power, you could do much more to make continent interiors more appealing.